IN 1973, a tall, handsome Swede bought the Villa Boemia estate in the Monferrato hills in the Asti region of Italy. A verdant area known for its fine wines and amazing vistas, this region, halfway between Genoa and Turin, is the home that the Swede chose to complete his transformation from the symbol of Nordic super-athlete to fully fledged member of the Italian nobility. Before there was Zlatan Ibrahimović, the brooding, powerful Bosniak-Swede who rampages across the pitches of Europe like a marauding invader, there was another Nordic sensation who blazed his own trail on the pitches of calcio like nobody had ever seen: his name was Nils Leidholm, or as the Tifosi Milani had nicknamed him, Il Barone. So bequeathed with this moniker for his marriage to Maria Lucia, a woman of Italian nobility, it could just have easily been for his stately appearance and noble bearing. Liedholm would leave his mark on calcio unlike any man from Scandinavia had before. Liedholm was the product of a Sweden that had remained neutral during the Second World War and was an outstanding Bandy player, a variant of ice hockey with 11 players on each side, although chose to pursue football with IFK Norrköping, winning two championships along the way. Starring on the 1948 Olympic gold medal-winning side in London with his legendary teammates Gunnar Gren and Gunnar Nordahl, later nicknamed ‘Gre-No-Li’, they formed one of the greatest attacking tridents in calcio and Swedish history. It was vitally important to Italy that good players were imported to Serie A after the devastation of World War Two, as so many players and coaches had been lost to the devastation of the conflict. Liedholm was perfect, after all he had been named “player of the millennium” by Swedish newspaper Aftonbladet. The future of calcio required an influx of talent, and the Gre-No-Li trio was the tonic that AC Milan needed to build a legacy of success for the northern giants. The first of the three great Swedes to venture south was Nordahl – a bustling, powerful striker who was introduced to AC Milan in January 1949 as Il Pompierone (The Big Fireman). It was Nordahl who later convinced the management of the Rossoneri to sign Liedholm and Gren soon after. He knew their success as a trident could be replicated in the tight, unapologetic spaces of the Italian game. Liedholm was an early adopter of non-football related training methods. He ran the 500 and 3000-metre races as a youngster, threw shot put and even mastered the javelin, and as a result he was able to take some of the most remarkable throw-ins in history, from the halfway line directly into the heart of the box. They were unparalleled in their accuracy and deadliness. But the Swede was far more than just an early Rory Delap. 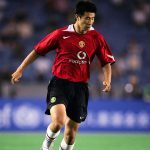 So perfect was his game that when he once sent a misguided pass to a teammate at San Siro – while playing against Juventus, no less – the crowd was reported to have stood in laughter, cheering for five minutes in recognition of the perfection of his skill and the uniqueness of the failed moment. Immensely revered by the tifosi, he remains a legend at two giants of Italian football: AS Roma for his unparalleled success as manager, and AC Milan for both his greatest days on the pitch and his brutal style off it. There was also disappointment in his career. 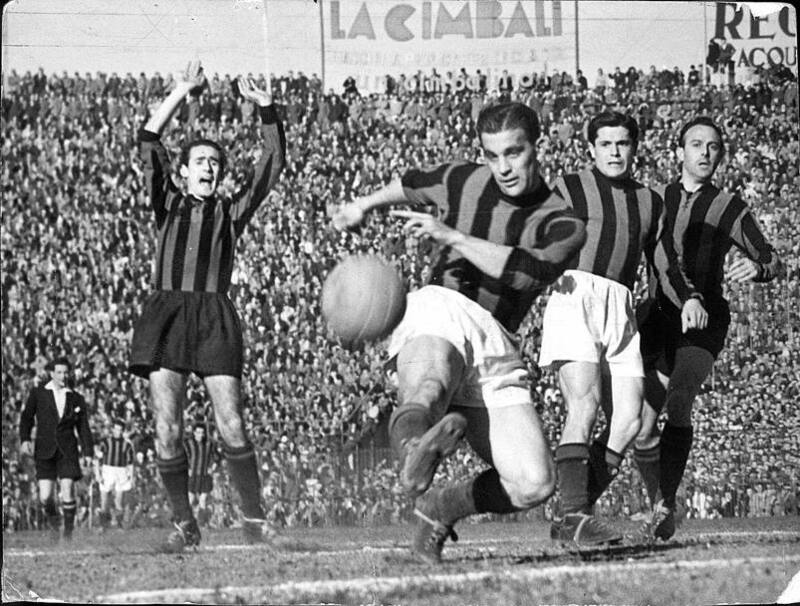 Despite Milan winning the Scudetto in 1955, ’57, ‘58 and ‘59, and going to the final of the European Cup in 1958, the precursor to the modern day Champions League, AC Milan lost to Real Madrid 3-2 in extra time. Later that year in the World Cup final, when Liedholm was 38-years-old and nearing the end of his playing days, he scored what Pelé called “… the best goal ever scored against Brazil”, only to see Sweden fall at the final hurdle in their home World Cup in a game that mythologized a 17-year-old Pelé as one of the greatest players of all time. It left the Liedholm goal as an asterisk in World Cup legend – and the home fans in Stockholm wondering what might have been. As great as Liedholm was as a player, it was his managerial career that remains the hallmark of his legacy. After retiring as a player he went straight into managing, first at Hellas Verona, where he guided the Serie B side to promotion, then at Varese Calcio where he repeated the earlier success and gained promotion to Serie A. Fiorentina proved to be his first big break, and success followed. But it was AS Roma, where he managed from 1973 to 1977 and again from 1979 to 1984, where he led the Giallorossi to their first Scudetto in 30 years, that brought Liedholm legend status on the sidelines. It was not until Liedholm led them to the Scudetto in 1983 that Roma finally won the prize they had waited so long for. The following season Roma were runners-up, however they saw better fortune in the continent by reaching the final of the European Cup, falling to Liverpool on penalties in the Stadio Olimpico. Liedholm had transformed the Romans from perennial underachievers to major players. The Valdemarsvik-born schemer was an early innovator of zonal marking in calcio, shifting from Italy’s traditional libero or man-marking system. Luís Vinício had introduced a similar zonal system in the 1970s but had abandoned it soon after, citing the players’ inability to remain disciplined enough. It was Liedhom who finally brought the system to fruition. In Liedholm’s fluid zonal marking the defence was responsible for patrolling areas of the pitch, and his teams mastered the art of confusing the opponents by making it impossible to know when attacking players would finally be passed on to teammates to mark. According to Arrigo Sacchi, it wasn’t until he himself introduced his version of the zonal marking system at Milan that it became a true success, that Liedholm’s system was simply man-marking within an area on the pitch. 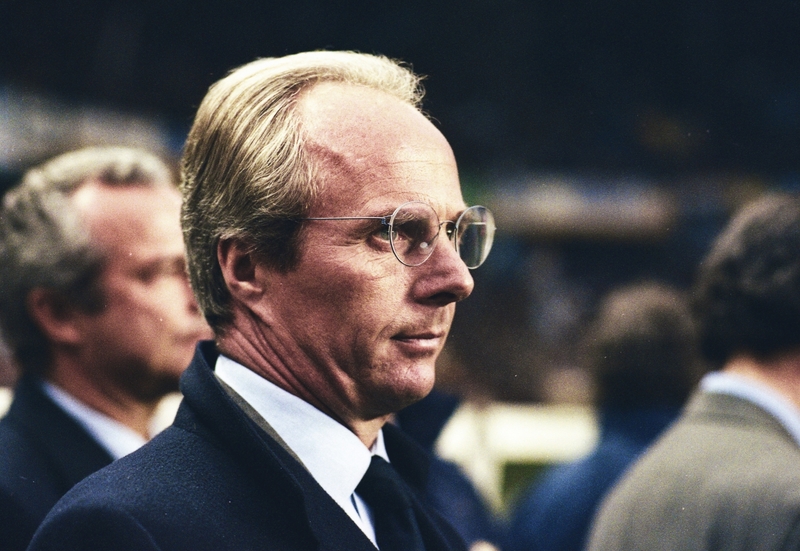 This was not the last time that Sacchi and Liedholm, two pioneers with vastly differing philosophies, would meet. Famously afraid of flying, Liedhom would take the team on the train to away matches, often going to bed at 10pm and leaving the players to their own devices. Carlo Ancelotti, a young player with Roma at the time, recalled: “The players would get on at midnight and not sleep. The worst preparation. On match day the team would get to the stadium hours early and hang around the changing room.” Liedholm would send the team doctor in to tell jokes to the squad and often would join in himself, something that Ancelotti would later carry with him into his own coaching career. In the 1987 campaign, soon after Liedholm had left AC Milan after two largely forgettable years, Fabio Capello was appointed as manager, following on from man he once considered his favourite footballer. That season, during the Coppa Italia, Capello’s side came up against Sacchi’s Parma, from Serie B. Once more it was the innovative Sacchi who got the better of the regimented Milan – a side that still had Liedholm’s legacy stamped all over it – triumphing against the mighty AC Milan 1-0 in the first leg. Prior to the return fixture taking place, Silvio Berlusconi’s trusted right-hand man, Adriano Galliani, informed Capello that his days at the club would be numbered. The club decided that innovation would be required after the pragmatic periods of Liedholm and Capello. Liedholm was widely regarded as the perfect gentleman – despite attracting controversy for some of his comments and the style he deployed. For many he was a modern Helenio Herrera, his team’s sacrificing possession in exchange for defensive shape and solidity. Perhaps this is why he rarely stayed at clubs for long enough to build a true legacy. When Capello later became manager of Roma he called upon his former master to help introduce him to the Romanisti. Sitting at a press conference together, Capello told the press that it was Liedholm who had last brought the scudetto to Roma and that a league title was worth 10 Coppa Italias; he then rubbed the big Swede’s arm for luck as Liedholm smiled and graciously played along to Capello’s beat. Capello, aided by his mentor’s advice at crucial moments throughout the season, brought the scudetto to Rome in 2001. Despite his ferocious competitive streak, Liedholm was never bitter about his rivals’ success, letting his competitiveness play out on the field, not in the papers or the back rooms like so many managers of the era did. Liedholm was also the first of five coaches to win the coveted Seminatore d’Oro award twice, given to the best coach in Serie A. Nothing expresses Liedholm’s love for Italy more than the 90-hectare section of the Asti region known as Villa Boemia, where Nils settled with his wife and son Carlo. His passion for the wine business was immense; he spent years understanding the grapes of the region and hired famous experts to assist in the cultivation of his love for the land and its care and feeding. His vineyard produced fine Barbaresco’s and Vini Bianco that were worthy of the Liedholm name. Carlo carried on where Nils left off, producing 90,000 bottles a year, mostly for domestic consumption. Liedholm was far more than just a football man – he was an intelligent thinker who always stated that his first love with “life itself”. Like his great friends Gren and Nordahl, he became an honourary Italian, rarely speaking of missing Scandinavia or of leaving Italy to return home. Italy was his home. He was able to bridge the tricky divide between the wealthy north and the Mezzogiorno, becoming a legend at Roma and equally so in the financial heart of Italy, Milan. A true innovator in the game, Liedholm remains one of the greats of calcio, not because he won a multitude of trophies but because he was able to help invigorate Serie A after the devastation of war and the rise of Real Madrid. Often forgotten today, the Swede was critical to bringing back the quality of what was lost during the dark years of conflict. Beyond the sport of football, Liedholm is remembered for championing Bandy in his adopted land as a member of the Italian Bandy Hall of Fame. The Villa Boemia still produces fine wine, as it did in Liedholm’s retirement. His passion for all aspects of Italian life was as big as his 1.85m frame. To this day in his hometown of Valdemarsvik, Sweden, there is a football tournament that bears his name for boys and girls aged 13-16 years old. Liedholm sadly passed away in 2007, three years after his love Maria Lucia. A great man of football was lost, but his memory lives on in the record books of calcio. A giant of a man and a giant of the game, Nils Liedholm remains one of the most important figures in Italian football history.